Contact lenses are a great alternative to glasses. They are attractive, comfortable, and convenient. August is Contact Lens Health Week, and Lickteig Family Eyecare in Boston, Natick, Dedham, and Medford, MA would like to remind you that caring for your contacts properly is important. Always clean your contacts with contact lens solution, not water or saliva. Store your contact lenses in a proper solution, not regular water. Wash your hands and dry them well before handling your contacts, every time. Don't wear your contact lenses for longer than your eye doctor prescribed. Only wear your contacts at night if you were told to do so by an eye doctor. Avoid water when wearing your contacts—Take them out before bathing, showering, swimming, or using a hot tub. All of these tips are designed to keep your contact lenses clean and prevent you from developing infections or other problems. While it may be tempting to skip a few steps here and there, eye doctors recommend against it. Different types of contact lenses do require slightly different care. Daily disposable contacts do not require a storage solution or cleaning because you discard them at the end of the day, for example. Hard lenses may require different cleaners than soft lenses. 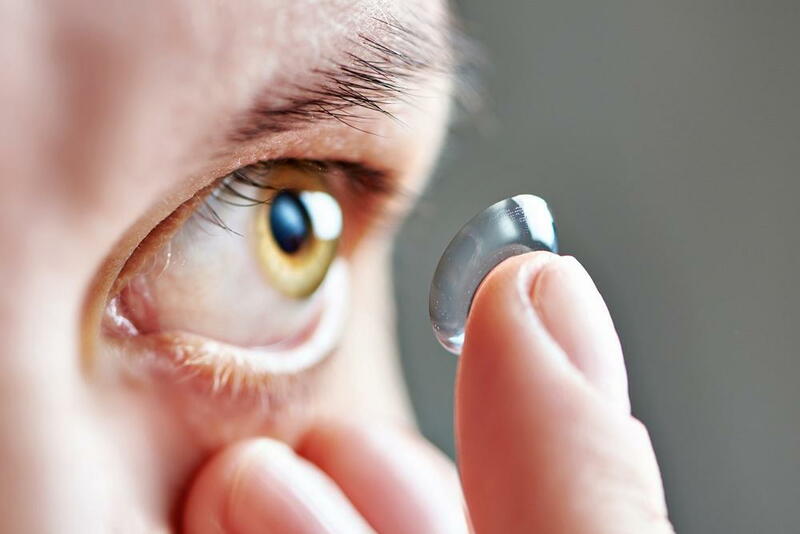 Certain types of contact lenses are approved for overnight wear by the FDA. However, these may still increase your risk of developing eye infections. Talk to our doctor for more information. Wearing contact lenses can make your life better in so many ways. In order to help you experience all of the good things about contact lenses and none of the bad, Lickteig Family Eyecare reminds you to care for your contacts properly. For contact lens fittings and other types of eye care, call us at one of our four locations in Boston, Dedham, Natick, and Medford today!